Originally published in France in 2012, Pascal Merigeau's definitive biography of legendary film director Jean Renoir is a landmark work,the winner of a Prix Goncourt, France's top literary achievement. 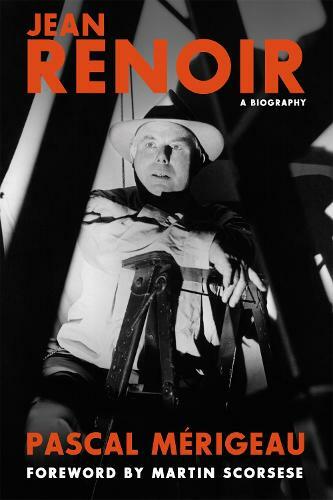 Now available in the English language for the first time, Jean Renoir: A Biography , is the definitive study of one of the most fascinating and creative artistic figures of the twentieth century. The French filmmaker made more than forty films from the silent era to the late '60s and today he is revered by filmmakers and seen by many as one of the greatest of all time. Renoir made acclaimed movies in France, America, India, and Italy and became a writer during the last part of his life. An estimated 75 percent of the book details previously unknown information about the filmmaker, including Renoir's close affiliation with Communism in the '30s (when he was the Party's official director) and his work with the fascist regimes during World War II his previously uncredited Hollywood film, The Amazing Mrs. Holiday and new information on the making of his most famous films. Drawing from unpublished or little known sources, this biography is a completely fresh approach to the maker of Grand Illusion and The Rules of the Game , redefining the very function of the movie director and simultaneously recounting the history of a century.